Winning submissions will be judged at the district level. 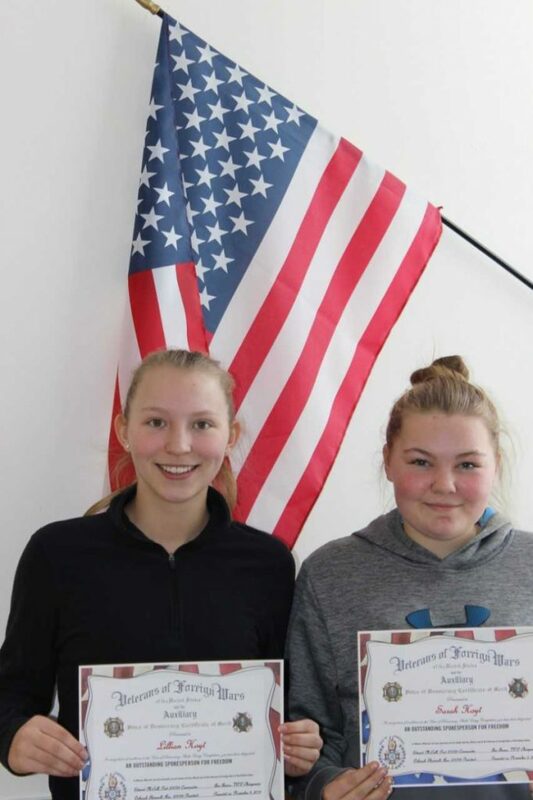 JACKMAN — Hailey Welch, an 8th grader, Carli Frigon, in 7th grade, Lillian Hoyt , a junior, and sophomore Sarah Hoyt were recognized at Forest Hills’ Veteran’s Assembly held Nov. 9. Students in grades 6-12 were invited to participate in an essay writing contest. 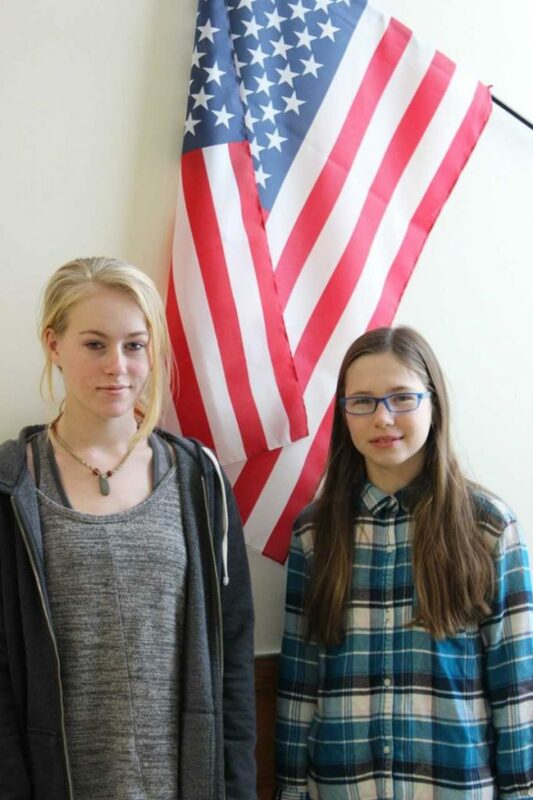 For the Patriot’s Pen contest, the theme was “Why I Honor The American Flag.” For the Voice of Democracy contest for grades 9-12, students had to prepare and present a speech on the theme “Why My Vote Matters.” This is a national contest conducted annually by the VFW. Locally, the William B. Doughty Auxiliary #5723 of Jackman sponsors the contest and awards the winners a commemorative items as well as a monetary prize. Local winners were Carli Frigon and Lillian Hoyt. The winning submissions will be sent along to the district level to be judged. Grand Prizes include scholarships and trips to Washington, D.C. National winners are announced in March.